Nokia Amber update for Lumia phones which is going to bring a good bunch of goodies is already lying on the Nokia’s Firmware Repository for the delivery to be done through the Nokia Care Centers. So far the updates have been seen for the unlocked variants of the Lumia 920 and Lumia 820. 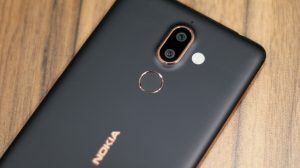 The presence of Updates on Nokia Servers does not mean that the FOTA update will be delivered very shortly as both these are pretty different methods. Care Suite flashes the full firmware files whereas FOTA updates only contain the required update files and hence are pretty light-weight as compared to the Full Flash files. Before starting the update process, look for the update version and make sure the 2nd last block has a number higher than 1325. If its lesser, its not the Amber update and you should wait. Updating a Nokia phone is a pretty easy process if we use the official Nokia Update Tools which are full of instructions and are fairly easy to use. All user data and applications will be lost. So backup everything that you find important. Run Nokia Software Updater from the directory where you installed it. Connect your Nokia Lumia phone to your PC. Make sure it has at-least 50% of battery left. The program will then download official Amber update files from the Nokia Servers and prepare them for installation to the phone. (Approx size for Lumia 820 and 920 is 1.2 GB). So make sure that you have a fast or at-least a stable internet connection. If the download breaks, it will start from the beginning. Once the Download is finished, the Files will be Flashed onto the phone. DO NOT disconnect your phone from your PC during this step. If the update is successfully finished, the phone will restart and you’ll also see a positive update log. We’ve tried finding out, but the updates are not yet available for the Lumia 720, 620 or 520. 625 already comes with the Amber update pre-installed. but i got a warning and ask me to enter a code for my last attempt. the question is if i leave it for the whole day will that warning be removed? Are you trying for a Network/Operator Unlock? In that case, the attempts will not be reset. The phone will become useless if you enter an incorrect code again. Does this update unlocks Lumia GSM to other network ? No. This is not a carrier unlock. Hey hi , I installed Nokia Software Updater 4.10 and connected my Nokia Lumia 820 . But it says no software package found ? What could be the problem ? Just that Nokia is not providing access to the product packages of your phone. Bad luck. You need to visit Nokia Care and get it flashed. That’s quite fine. Please update your system apps using Lumia Pusher. I´m sorry but the link of software updater doesn’t work, where can i get it? FM Radio was indeed added by Microsoft and is available to other WP devices as well, not just the Lumias. Hi my phone screen is not responding at all. It was freezing time to time which I had to reset by pressing down volume down key and power key. Now its totally frozen. Can I do this update? will it ask for screen lock key to enter in the scree? I have to unlock password, but it I can’t key it in due to screen problem. Actually it flashes the phone. So it will just clean it up fully hence no need of any passwords. All user data will be erased though. Good chances that this will work. Hi it didn’t searched and downloaded the new version. I mean the check online button didn’t worked even though I update the product code area. However got the phone back to seller and reinstalled it. Now its working. Still freeze sometimes, specially with WhatsApp. Where would the FM radio be located?? It should be in Music + Videos hub. No data sense, seems as At&t removed it. No proper alternatives. You can still search the store as any other app will differ from carrier to carrier. -unlocked it is the same to say unbranded? -do I still depending on AT&T updates? or Can I install another country firmware? GDR3 is kinda far away. Maybe by end of year and then the regular AT&T delay. -Can I install another 820 firmware or must be an AT&T firmware? Here’s the link, if you may want to confirm about the availability of Amber Update for all Lumia smart phones…. Agreed. May I know your product code so that I can confirm if the update is available on Nokia Servers. But that will only show the update files for flashing purposes and won’t tell anything about OTA. Many users are facing problems updating via OTA. So if you have a fast connection on your PC and without too much valuable in the phone, you should head ahead and use this method. country Is not mentioned in info.. I installed care suite /// but it cant find any update.. says the server error or ur device doesn’t support ..
any ideas. . I read somewhere that nokia deletes some phone updates from servers. .I don’t know if its right or not. already waiting for a long time..
only yesterday was changed waiting for approval to coming soon on Bulgaria country variant. .
Let is change to Available and then you’ll be able to find out. Here in India, updates for all the Lumia phones has been delivered already. Amber has not been released for Lumia 520 in India. You need to wait. will this erase all the data on the phone? Actually 1020 does not have the 8.1, instead the Amber (GDR2). About the update availability, I don’t know what’s all the thing. When it works on other devices, it would work with that particular carrier too. True that all they have is few more exclusive apps and nothing else. But this is kinda the norm everywhere. All carriers test something, but what? You never know. Its just a mess. AT&T? Dunno why Nokia even keeps exclusive devices with them. Time and again Verizon has proved to be a better market for Windows Phones. Whatever it is, its the reality. 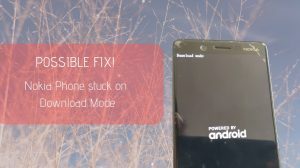 If frustrated, you can go ahead and flash your phone with some other country variant or the unlocked variant for which Amber has been released. I’ll never understand why carriers are allowed to mess with the OS and then independently test them. That was the reason why Nokia did not succeed in the US earlier. Nokia wanted to keep the device and software availability to themselves only. Feels like we’re lucky in India here. Although devices are not on contract, but at-least they don’t need this long software testing. Want to update lumia 920, idk how? can u help? All the info is written here bro. I’m trying to update my lumia 720 in india using NSU (3.0.8). The update version is 1334, so its amber. It has downloaded the update correctly but whenever I’m trying to install, its showing internal error, but no error code. I changed the default download location from C:/program data to D:/ for space availability. Might this be causing the problem, as every log file makes refences to c:/program data. If so, then what is the default directory for NSU so that i may create that and copy the downloaded files there to continue. The update 3046.0000.1334.0001 is certainly the amber update. As there’s some difference in the flashing process of each and every phone, the software might not be able to detect the correct way to flash the Lumia 720 due to unsupported product or any other reason. This might be due to the placing of Firmware Files in another directory, but i won’t give much credibility to this as the software is supposed to check the firmware files in the folders specified. Still, you can try again by placing the firmware files to C:ProgramDataNokiaPackagesRM-885 as this is the default for all the Nokia Products since 2013. Make sure you put in the correct RM-XYZ folder as per the RM number of your phone. If it still does not work, head forward and download the Nokia Care Suite and it will definitely flash the phone provided that nothing else is wrong like missing drivers and all that mess. Thanks, but the folder thing didn’t work out. downloading care suite right now. Do you have any idea what drivers/software issue might be causing this problem. Its hard to figure out as it does not give an error code. The first thing that I’ll say is probably NSU does not know how to flash the Lumia 720 yet. Maybe the flash files were not properly downloaded. Match their size with the one written in XML and see if they are of same size. Which OS are you using? Have you tried running NSU with admin privileges and after disabling security code on your phone? Nothing is wrong at your part. Just try Nokia Care Suite and it will work fine. Regarding Drivers, the Care Suite install will include all the required drivers, but make sure that you download latest Care Suite. I think version 2013.27.1.3 is the latest right now. I have 820with RM-825 apac australia. Will i be able to update in india ? Now updates are available in vodafone australia. Its available now brother. Have you checked store again? Nokia Pro Cam is temporarily unavailable because of some bug issues. It will be available in the coming time. About the branding and location, that’s not the cause. The update will show up as soon as the AT&T and Nokia finish testing the files and approve them. Amber & GDR 2 is same or different. If it is same where i will get the FM Radio Option ? Yep. GDR2 is basically the update from Microsoft’s side. 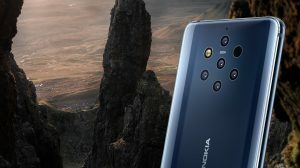 Nokia is combining its own improvements and some extra features and then sending it to the end users in the form of Amber Update. So for end Nokia users, Amber and GDR2 are the same. If your device is qualified (all are except 620 and 928), you’ll receive the FM Radio option. Wow 27th and still waiting for Approval from At&T when Rogers in Canada got the green light for the Lumia 920 and the 928 for Verizon in the U.S ha sit ..jesus At&T what give ! Keep checking here. The page will be updated when the amber is released for a particular device. As of now, its still waiting approval from AT&T. Might take a week or so before they start pushing this update to the end users. Have you tried rechecking with NSU if its shows an available update? If not, the update might not have been released yet. Can you mention your product code here so that I can confirm? What’s your product code brother? You can try to find if NSU shows an available update. Thanks Brother, you are doing a great service. I just downloaded the Nokia software updater and I attached my Lumia 920 to the computer after which it showed me that there is an update for my Lumia 920 (3047.0000.1326.2002) which is almost 1.4 gigabytes, do u advice I go ahead and update the phone despite the fact that I’m in Nigeria at the moment. The updates are provided according to the firmware product codes that your phone is bundled with. So it doesn’t matter which location you’re in. If it shows an available update, that’s the correct update destined for your particular device. However, now that Nokia has started pushing the amber update OTA, so you can just try to wait for the OTA update which will be considerably smaller than what Software Updater shows. Its upto you to decide which way you wanna go, through Software Updater or through OTA Updates which might arrive soon. It turns out to be working fine. Still need it an alternative? When It will be available for Lumia 720 in india?? The roadmap has been revealed now. Lumia 720 will receive it around the end of September. I just checked for my nokia lumia 920 (in the U.S) no update for it..any news of when it’s coming to the U.S? I would like to update my Nokia Lumia 820 to Amber. How to do it and where canI find it? What I also want to check is if this version is the best version for Belgium. Now installed is the RM-825 CV NL. Or is it the best one? Just checked and Amber is not yet released for your product code (059R034). CV_NL makes me feel that this might be a package for NewZealand? No idea. If the product code written under the battery is the same, then this is the best package for your phone, regardless of the country. However, if this phone was purchased somewhere else, maybe you should check with a 820 in Belgium to see what product code it uses. Hi, may I know if the Amber for Lumia 920 – 059Q8Z3 – published? Where can I check it other than the Updater? Sadly not yet for this product code either. Presently available variant is 1232.5957.1308.0024 Seems like its already running much behind than the others. 1314 was already available to most of the regions. Hey All, I flashed my Nokia Lumia 920 with latest Amber 4 days back using NSU. But somehow, I do not see Nokia Pro Cam available to my device! Strange? Ahh.. Maybe the difference of Windows Phone Store. So what do you think? Any fix? i have another question thats in nsu its warranty is no warranty in usa. why?? why its not showing about india?? and why the same version is coming for update??? Just because that is the US version of Nokia Software Updater. So it will check for warranty in the US. As you’d be knowing Warranty is only valid in the purchase country, so its not valid. You can check if your Indian warranty is valid or not by opening the Nokia India website (link here) and entering your IMEI number over there. Hey i m from India Himachal pradesh. I have Lumia 820 n i have tried too but its showing the same software version. What to do? Then its simple that an update is not yet available for your device. Its pretty normal. and it says that i can upgrade my software to 1232.5957.1308.0001.
will i loose everything and i’ll not take the amber? i have to wait or i can proseed and i will maybe take the amber now? this same software 16digit number is the one i have to see changing to proseed? Don’t update yet. Amber firmwares are coming with a version number higher than 1325. So you need to wait for its availability. Downloading and installing the present one will just delete your data and waste your data bandwidth. Wait unless you see the version with digits similar to the screenshot in the article. 1314 is not the Amber update brother. Amber will keep the variant sequence to around 1325 or higher. 1314 has been out since long. Its better to check through OTA update method than this one . What is the advantage of this method? Just that OTA always comes late than the availability on the Nokia Firmware Repository. OTA will start rolling when all updates for most of the devices are ready and the OTA package is made thereafter. it isnt coming..d same software version is coming..i am not getting the amber update for my lumia 820 in india. All it did was restart my phone and delete everything!!!!!!! No update here!!!!!!!! Being in the US won;’t bring in any priority. Your phone is most probably AT&T branded, and I’ve just checked for AT&T that there’s still the 1314 update only. You need to wait even longer than the unbranded devices as update availability will require approval from AT&T and other formalities. Broken link due to site maintenance, so i’ll wait :), many thanks by the way !